once per year: for household customers and low-voltage professional customers. once per month: for medium-sized to large consumers, companies or larger stores. daily (automatic reading): for large-scale customers. at the request of your supplier: if a customer changes supplier or if there is uncertainty about the accuracy of the meter data. How to communicate your meter readings depends of the frequency your meters are read. The meter is read annually. You may have been out and our meter reader was unable to gain access to your meters. If you were out when the meter reader called then you automatically receive a letter shortly after the visit. This letter asks you to let us have your meter readings within 15 days following the reception of the letter. You do not have to do anything for this. Our meter reader will visit you every month. You do not have to do anything for this. Your new energy supplier will request a specific meter reading. 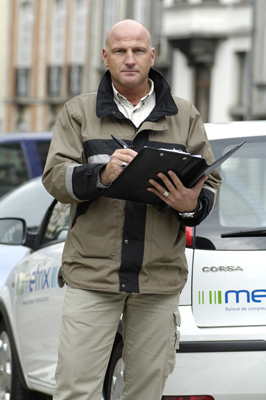 If you were out when the meter reader called to record this specific reading, then a notice of absence will be left for you, asking you to contact Metrix to make a new appointment. You do not have to inform Metrix or Sibelga that you are moving house. Who do you have to inform when you move house? Always contact your energy supplier in good time (who is my energy supplier?). How do you send your meter readings when you move house? Read the brochure on moving house (dutch or french)published by the Brussels regulator Brugel carefully for details of this procedure. Contact your energy supplier. They will explain to you how you can pass on the meter readings to them. The way in which you pass on your meter readings to them depends on the supplier. These documents are made available by Brugel. You will find more details in the brochure on moving house. By using these documents you have written proof of the agreement between the new and the outgoing occupant.